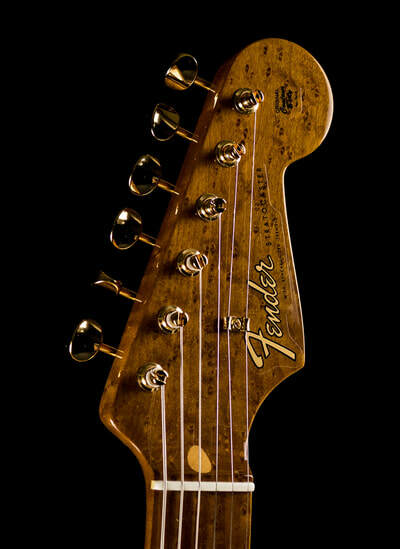 Tuning Machines: Vintage Style, "FENDER"/"PAT.PEND." 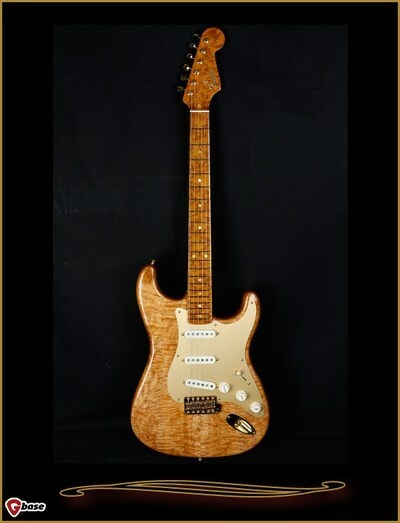 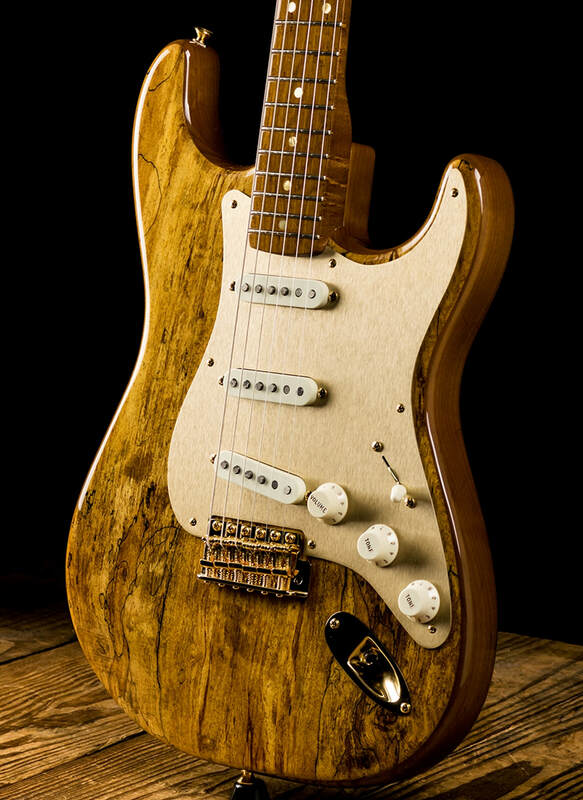 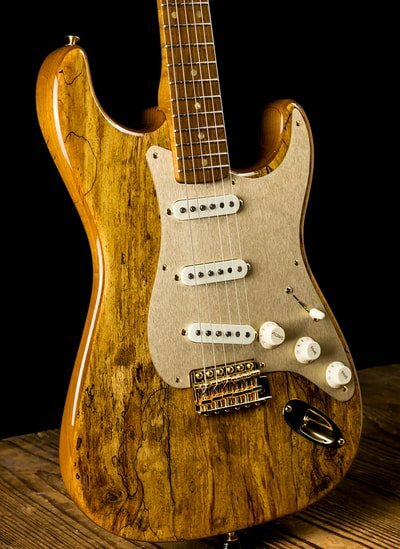 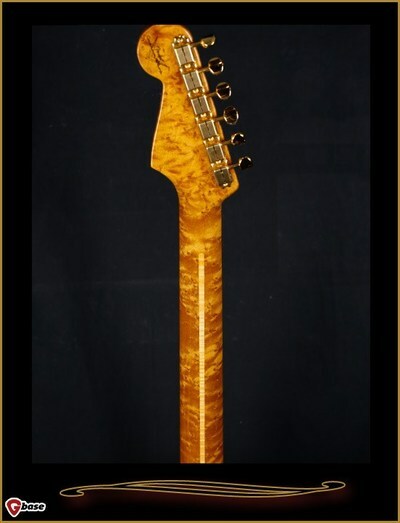 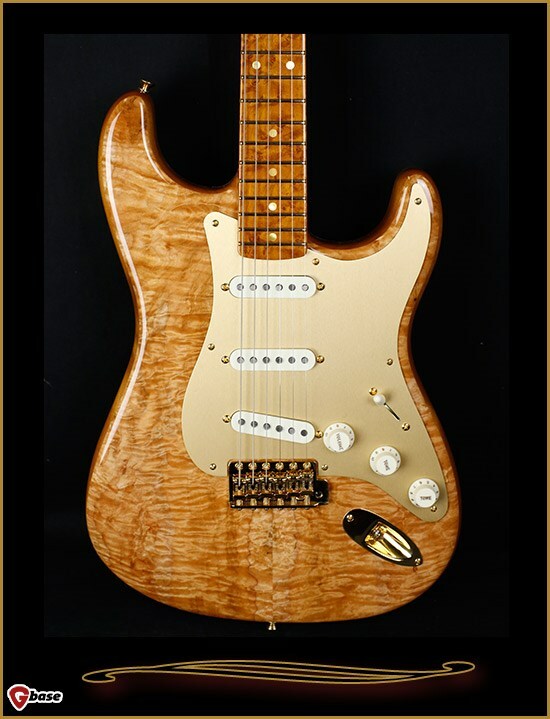 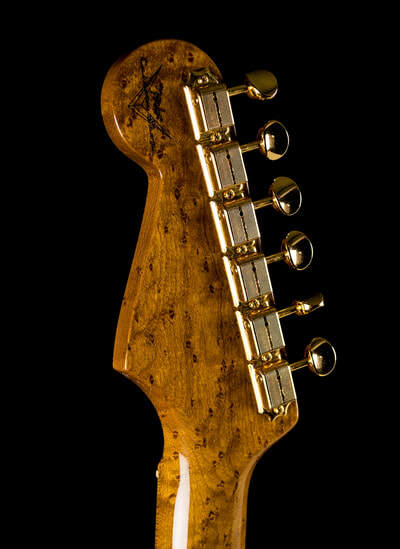 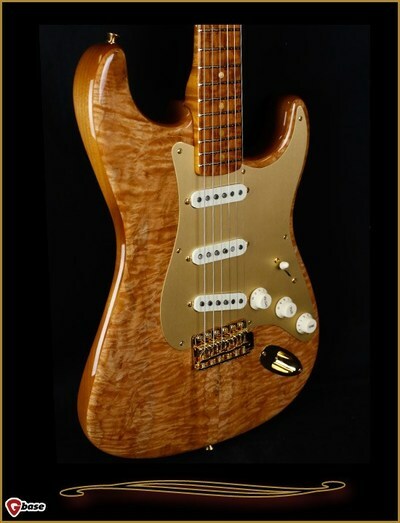 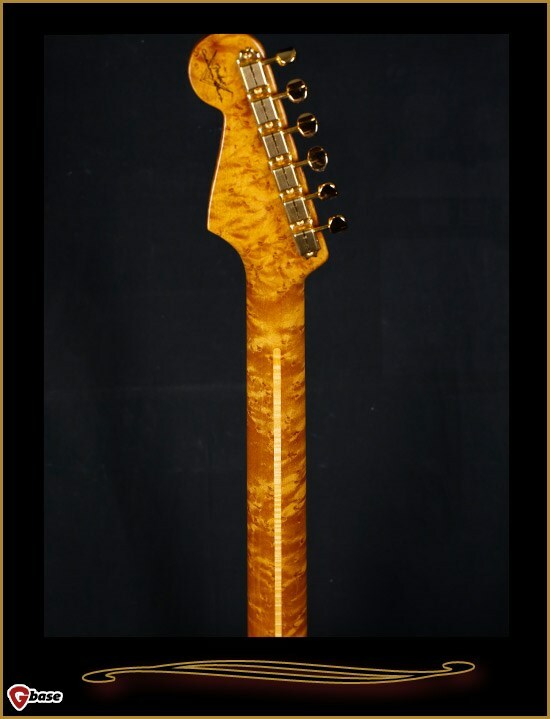 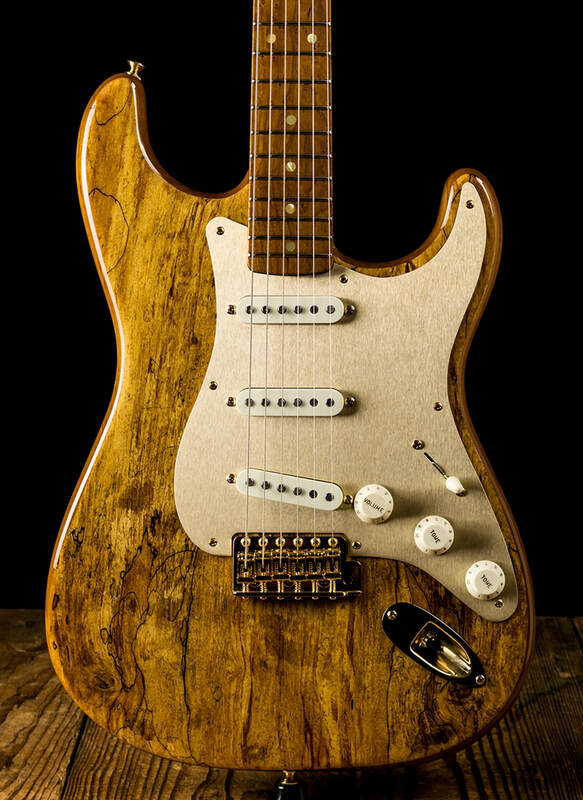 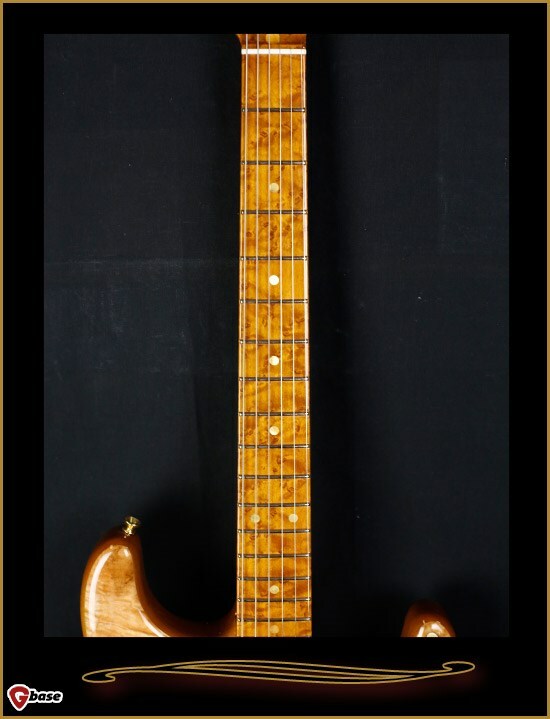 The Spalted Maple Artisan Stratocaster features an alder body with a dramatically figured spalted maple top and a lacquer finish, paired with a one-piece medium-roast AAA birdseye maple neck with a 10/’56 “V” profile, 6105 frets and 9.5” fingerboard radius. 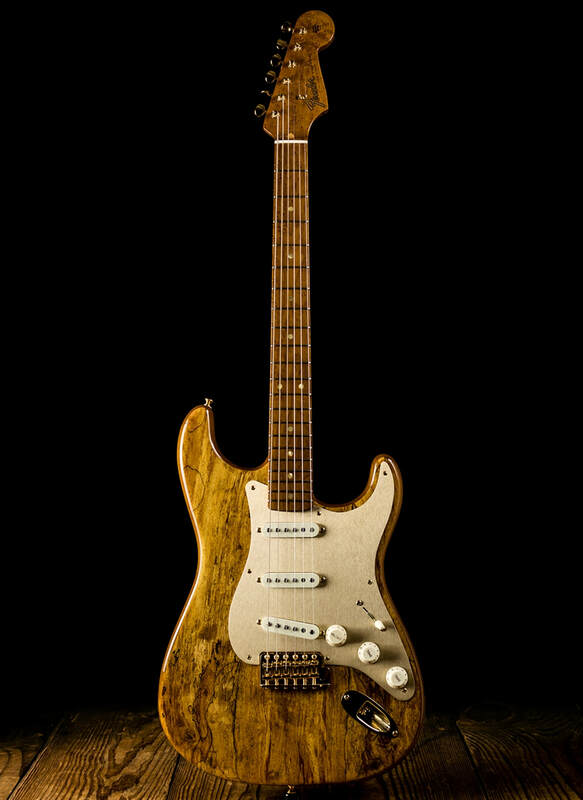 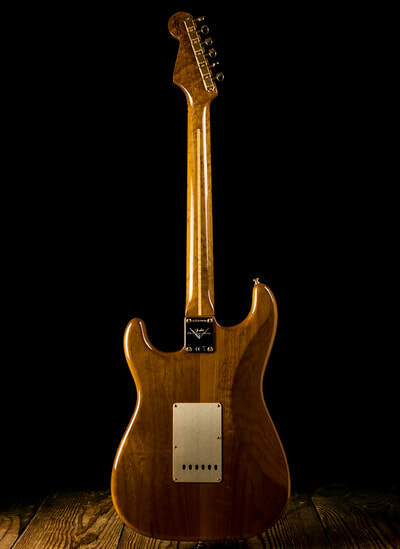 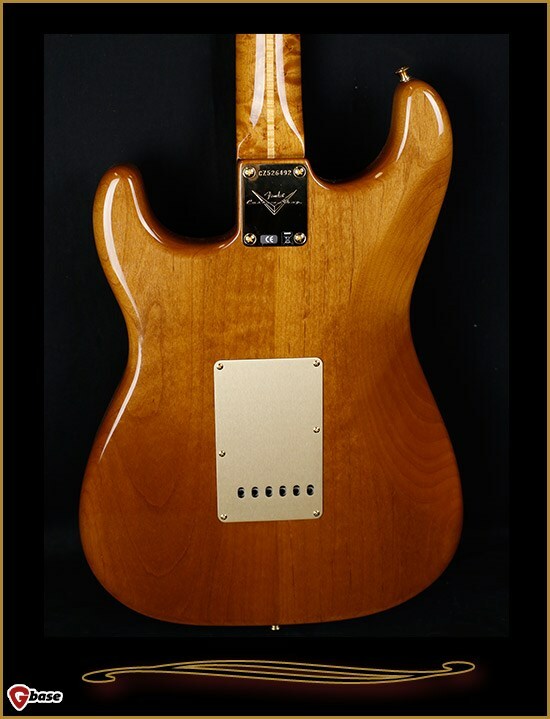 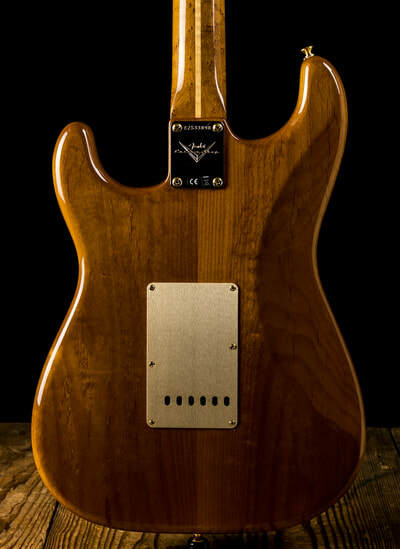 Other highly distinctive features include three hand-wound Fat ’50s pickups (reverse-wound/reverse-polarity middle pickup), five-way switching and Vintage Modified wiring with Tone-Saver treble bleed circuit, gold anodized pickguard and gold hardware, Custom Shop certificate of authenticity and black case.